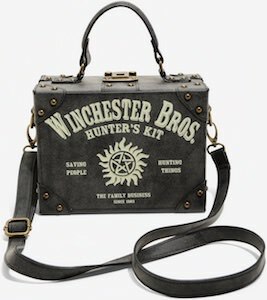 Now you can have your own Supernatural Hunter’s Kit Purse. 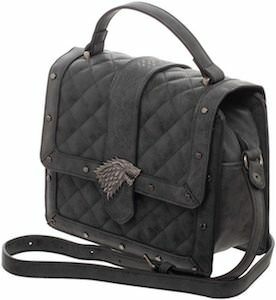 This Supernatural handbag is like a little black suitcase with a handle on top to carry it as a handbag and a strap so that you can wear it as a crossbody purse. 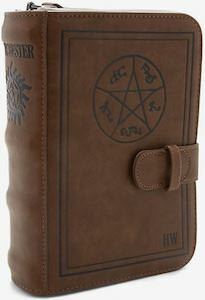 The outside of the case looks like a sturdy case with on the front in big letters “Winchester Bros. Hunter’s Kit” and the anti possession symbol. Inside the case is Burgundy red and there is an pocket with a zipper to close so that you can store things like money inside it. This is an unique purse and that makes it such a cool thing to have if you are a Supernatural fan. Now Ghostbusters fans can have their own Peter Venkman tote bag. 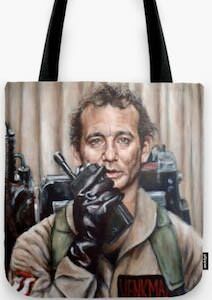 We all know that Peter Venkman was played by Bill Murray and on this tote bag you can see Dr. Venkman staring straight ahead while talking in the walky-talky and based on his eyes I think he is seeing some ghosts that need to be busted. The Ghostbusters tote bag available in 3 sizes 13×13, 16×16, and 18×18 and all have a nice strong black strap for easy carrying. With the same image of Peter Venkman on both the front and back this tote bag is just perfect for everyday use because we can all use a cool bag for groceries, school, work, the gym to name just a few. 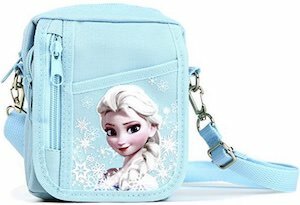 If your little girl loves Peppa Pig and would like to have a bag like mommy then you should check out his Peppa Pig Kids Purse. 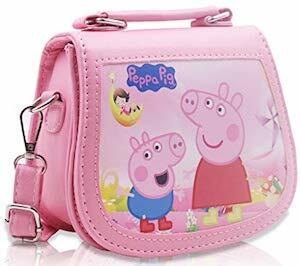 The kids purse is pink and shows a a fun picture of Peppa Pig and her brother George on the front together with the Peppa Pig logo. And this Peppa Pig handbag has a easy carry handle on top and has a removable carry strap so that you can use it as a crossbody bag. Inside there is one big pocket and one smaller zip up pocket. Kids that love Peppa Pig and to carry things around just need this. 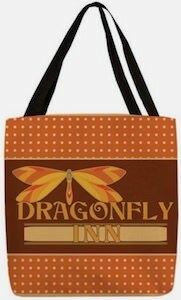 Gilmore Girls in need of a shopping bag should check out this Dragonfly Inn tote bag. The Gilmore Girls bag is 16 x 16 inches and has a 28 inch long strap. 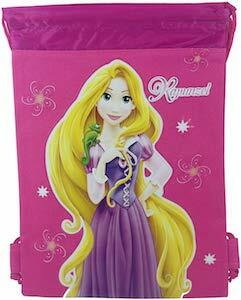 On the tote bag you can find the same images on both the front and the back. You can find an orange design with lots of dots and then in the middle you can find the Dragonfly Inn logo and yes that does include a dragonfly. A fun bag like this is something that will be appreciated by all the Gilmore Girls fans and it is perfect for shopping, school, and anything else you need a bag for. 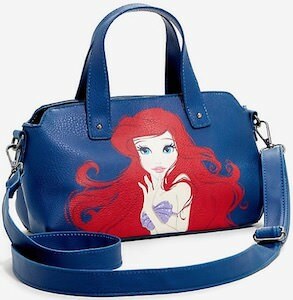 Now there is a Scandal bag all the fans just need so come check out this Weird is good tote bag. 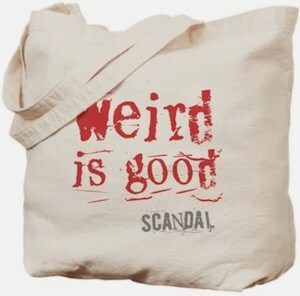 The tote bag says in big red letters “Weird Is Good” and it almost looks like they stuck the letters on there that really looks nice and then below it you can see in light gray the Scandal logo. This Scandal tote bag is made from natural fabrics and comes in different sizes and is just perfect for you especially if you are a bit weird because we all know that weird is good.